Click on any picture to see a larger version. Use your browser's BACK button to return to this page. The acrobatic but greedy squirrels eat a lot of seed and keep the birds away for long periods. 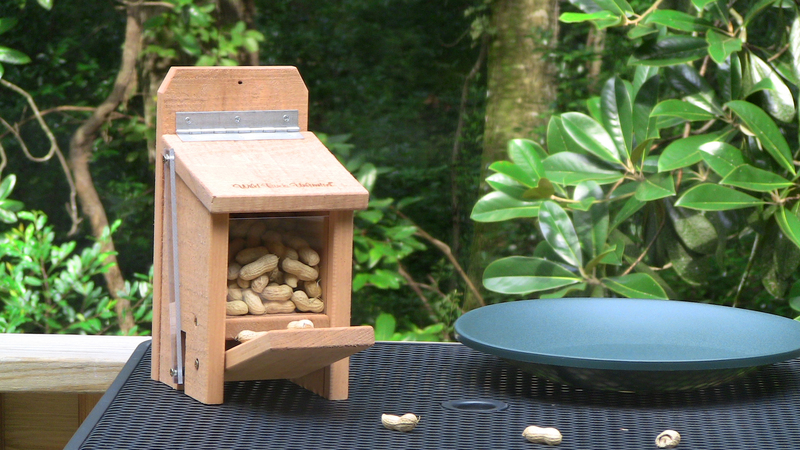 This peanut box was supposed to keep them away from the feeder. 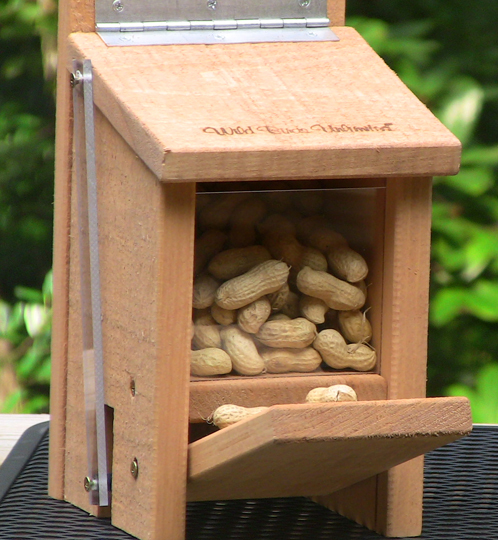 It has a large lever in front that opens the lid on top for anything as heavy as a squirrel. The squirrels didn't descend upon it in force (or at all) so I scattered some peanuts around on the table, with some of them broken open. 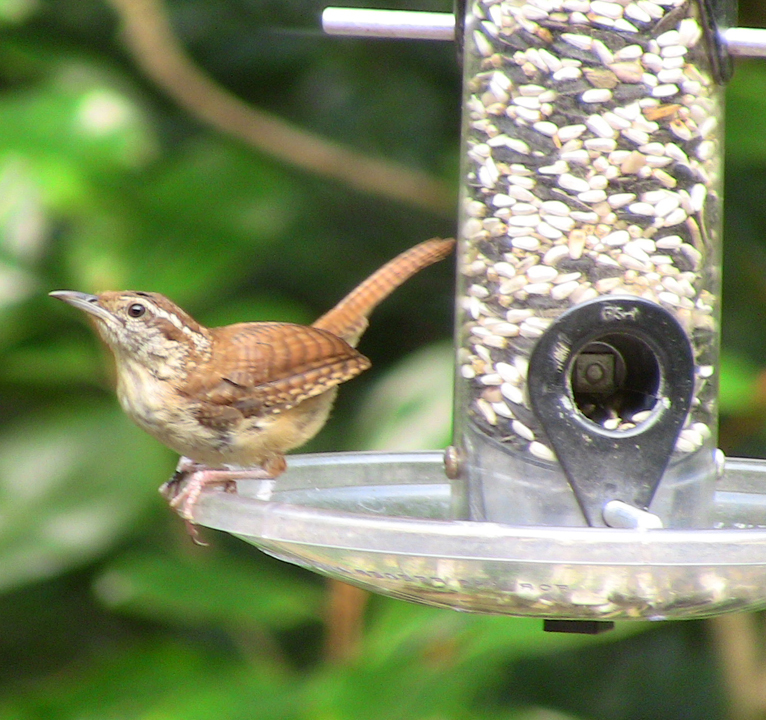 The squirrles scurried right past them on their way to the bird seed, but there were a few Caroline wrens and Tufted Titmice who lugged off peanuts. 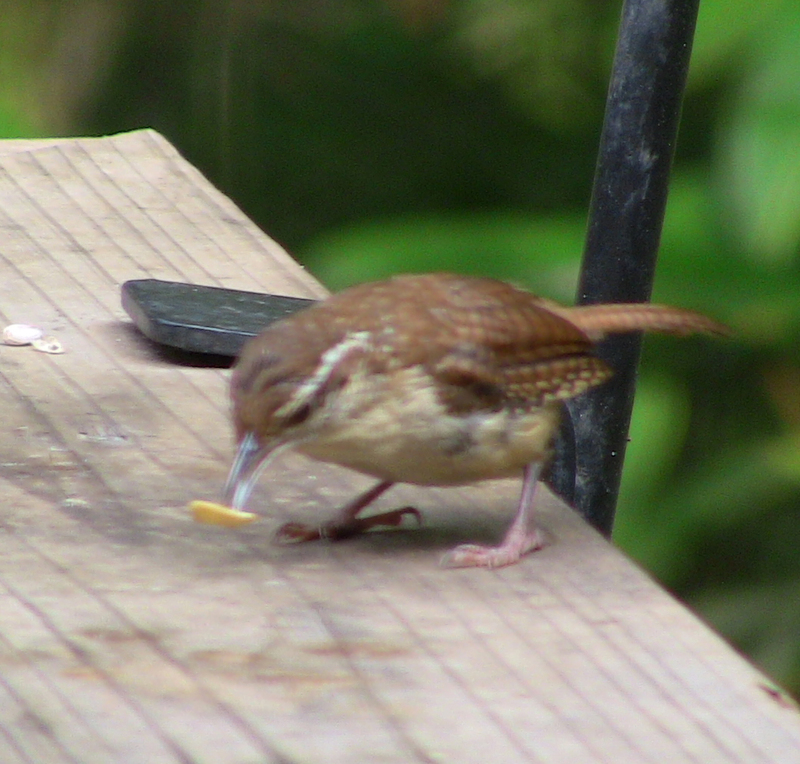 Here's one of the Carolina wrens with a piece of peanut. 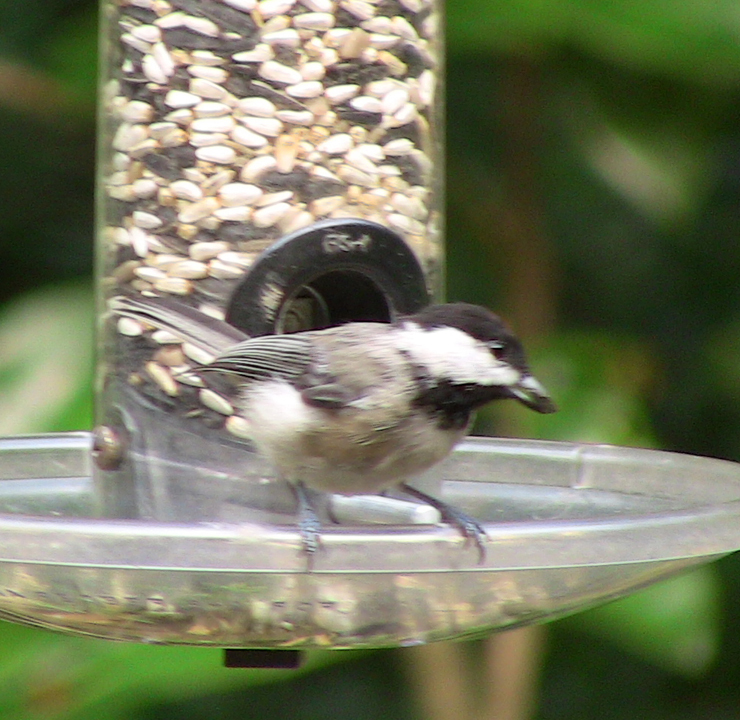 I saw a Tufted Titmouse carry off half a peanut, including the shell, but he was too fast for me to get a picture. Tufted Titmouse, I think. With his head tilted away from the camera, it's hard to see the crest on the top of his head. 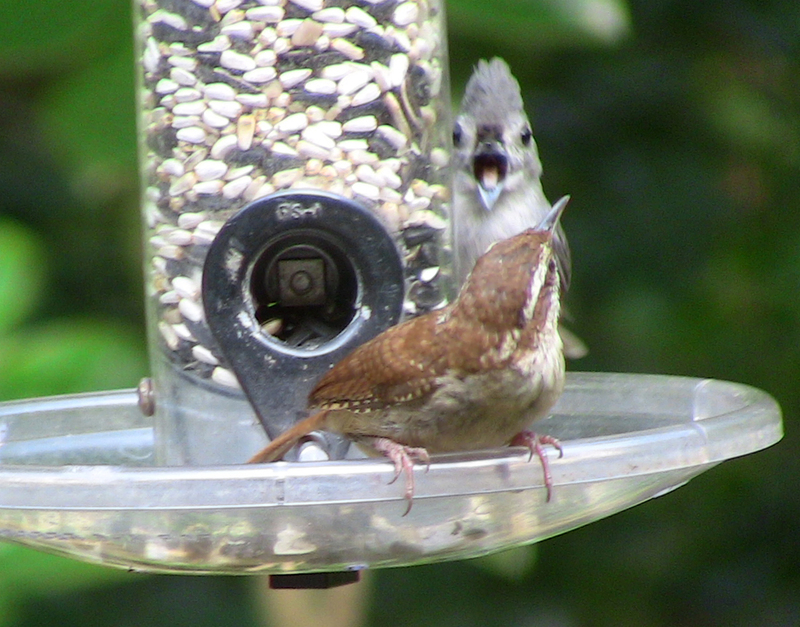 The Tufted Titmouse may not have arrived sooner, but he's bigger than the Carolina Wren...and not inclined to share.